All too often, motorsports involves a fixation on horsepower–who has the most, both on track and in the paddock. It becomes a bragging game, even at the vintage level. What about style, though? That’s where Duke and Fay Waldrop’s race car and tow rig shine. 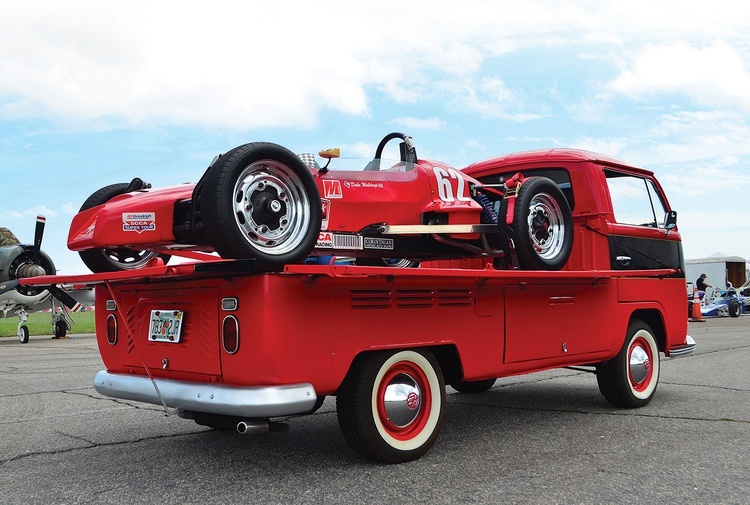 Despite boasting about a hundred horsepower total, this Lynx B Formula Vee and Volkswagen Transporter Pickup catch eyes, turn heads, and get people talking. Formula Vee might not have the allure of Formula 1, but it’s a critical piece of motorsports history. It’s also a great example of American ingenuity. The class’s origins began when Hubert Brundage, founder of Brumos Porsche, decided to build a VW-based Formula Junior in 1959. Formula Junior was a popular race class in the late ’50s for small-bore single-seaters using drivetrains and related mechanical parts sourced from common road cars. By the time the car was built, though, it was already uncompetitive. Brundage sold the two cars that he had commissioned to Florida SCCA racers Bill Duckworth and George Smith. These two saw a future beyond Formula Junior. They dreamed of duplicating Nardi’s creation many times over to create a low-dollar SCCA spec class. 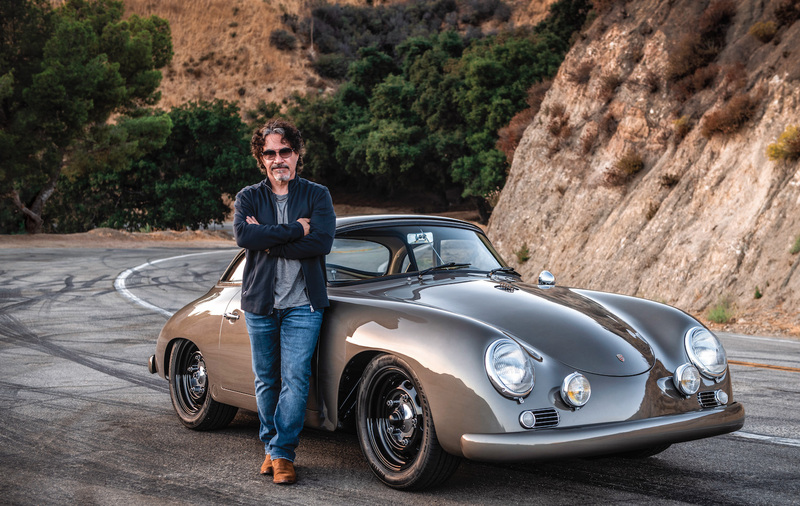 They started their own race car company, Formcar, and began production in Orlando while initially racing them regionally in Florida. By 1963 the SCCA recognized the class, and in 1964 Lewis Kerr would become the class’s first national champion. 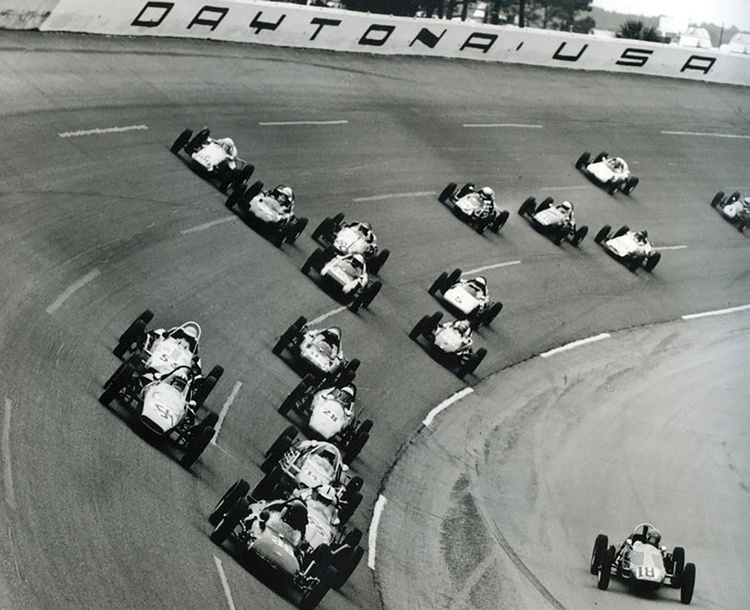 By the late ’60s, Formula Vee had become one of the most popular SCCA classes, with grids containing both one-offs as well as cars produced in reasonable numbers from the likes of Beach, Zink and others. Jon C. Mills, Bob Riley and Fleet Underwood desired a better mousetrap, so they formed their own chassis builder, Lynx Cars, Inc. Reportedly Mills was mortified by the chassis flex found in the average Formula Vee chassis. His solution? He designed a frame using square tubing. Lynx quickly became a big contender on the scene, and in 1971, one of their chassis claimed the SCCA national title. 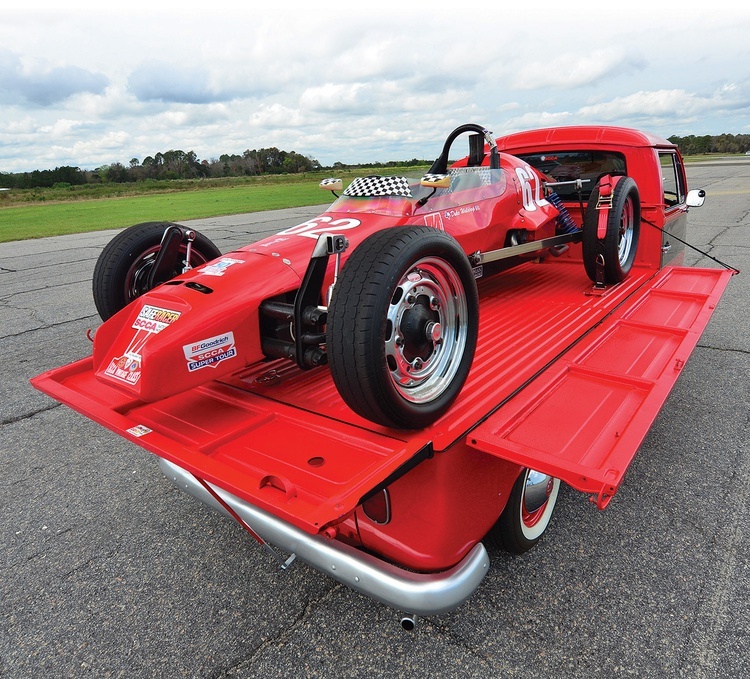 Since those early years, Formula Vee has continued to flourish and remains a popular racing class. Cars are still based on the 1200cc Beetle, and in 2008, participants celebrated the class’s 45th anniversary at Georgia’s Roebling Road Raceway. Duke decided that he wanted to try Formula Vee, and longtime Vee racer and engine supplier Lisa Noble helped him find this 1969 Lynx B. The car had been updated to modern Vee specs, though, so Duke had it backdated to its original configuration. Caracal Cars, the Formula Vee chassis builder that started out as Lynx, handled the work. Company owner Fred Clark retrofitted the period-correct Z-bar suspension and prepped the car for vintage racing. Duke quickly took to the class. In 2011 alone, he won 23 out of 24 races. Just recently, at the SVRA’s national championship, the car was guest driven by Formula Vee great Charlie Hearn; he bested 22 other drivers to win one of the SVRA’s Gold Helmets. 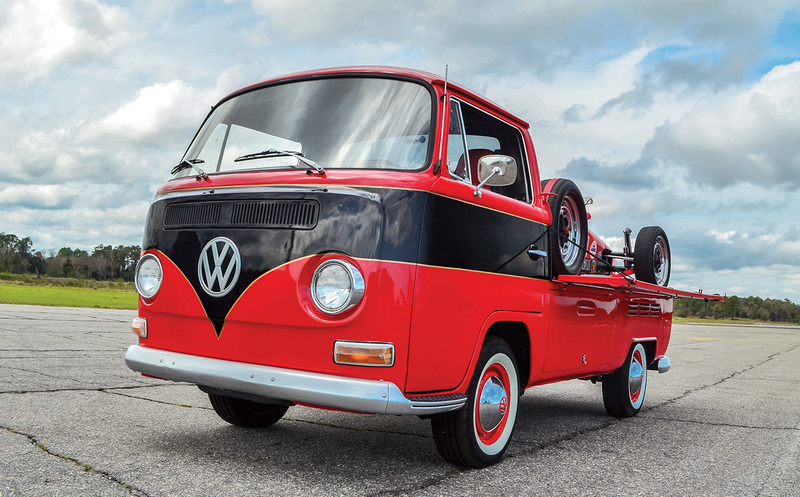 In 2010 Duke was at a car show in his former home state of Texas where he spotted a VW Transporter Type 2 Pickup. That would be the perfect companion for his Vee, he figured, and eventually found one nearby in New Mexico. Like the Vee, it was also a 1969 model. While the Transporter was in good condition, he had it painted to match his Vee and did some light restoration work at the same time. The truck doesn’t have ramps, though. To load and unload the Vee–which, he admits, is put up there just for display–he simply uses his lift. A Formula Vee is never going to set the top time at an event. It doesn’t shake the ground like a Can-Am car. 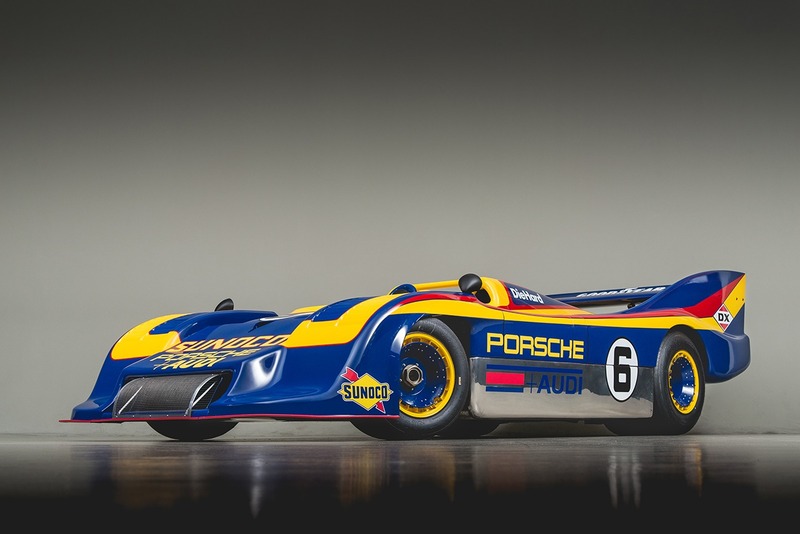 However, it’s long been part of the American road racing scene and, unlike other classes, has remained true to its original roots for more than half a century. Their VWs are pretty cool, too. While Formula Vee is still a big part of SCCA Club Racing, the class is also popular at vintage events. The cars are easy to drive and relatively inexpensive to build and maintain. They are not, however, very powerful. A Vee will usually corner quicker than a Sprite or a Spitfire but fall behind on the straights. That lack of power does have a plus, though, as it teaches drivers to maintain momentum, work the draft, and keep things tidy. You can’t mask sloppy driving with a mash of the gas. 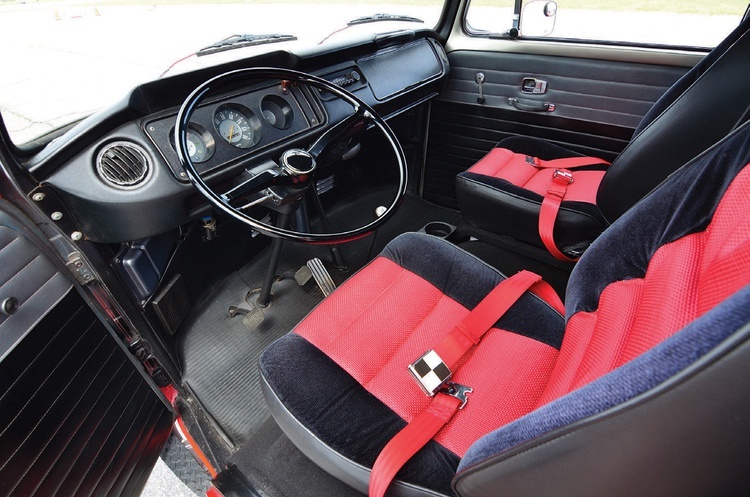 Most vintage Vees have a rather upright driving position and feature roomy cockpits. 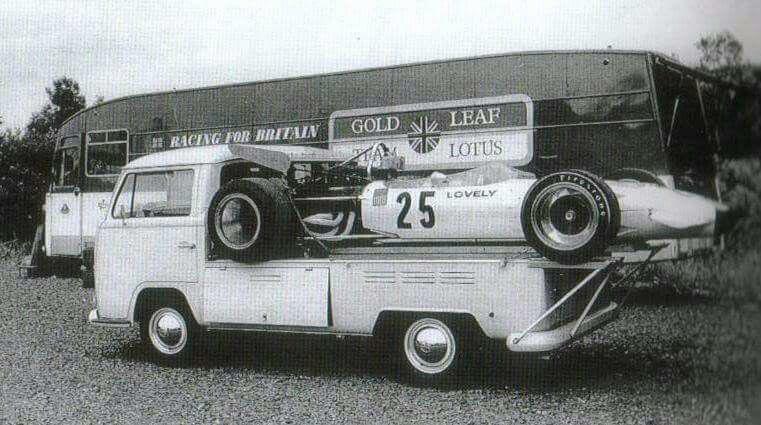 For a formula car, they’re rather comfortable. A Formula Vee uses the same four-wheel drums found on a VW Beetle. However, the Vee weighs so much less than the donor car–at about 850 pounds, figure that a Vee carries about half the mass of the VW sedan. As a result, Formula Vees tend to have very effective brakes. That lack of weight also reduces stress on the other VW components, making Vees rather robust. Formula Vees saw a big evolution with the introduction of zero-roll rear suspension, and today this feature separates a current Vee from a vintage one. Back in 1968, Vee racer Harvey Templeton wanted to go faster. Within the limits of the rules, he didn’t have many options. He couldn’t add power or reduce frontal area. However, he could improve handling. Templeton’s new design did away with the traditional Formula Vee rear suspension: upright coil-overs connected by a Z-shaped bar that is, not-coincidentally, known as a Z-bar. His new rear suspension setup featured a pivot point plus transverse-mounted springs. This setup removed the rear axles’ resistance to body roll, increasing grip as a result. This zero-roll rear suspension was quickly adopted by the Vee community. Another big difference between vintage and modern Vees concerns the tires: slicks on current cars and treaded tires in the vintage scene. Modern Vees have also become much more aerodynamic over the years. 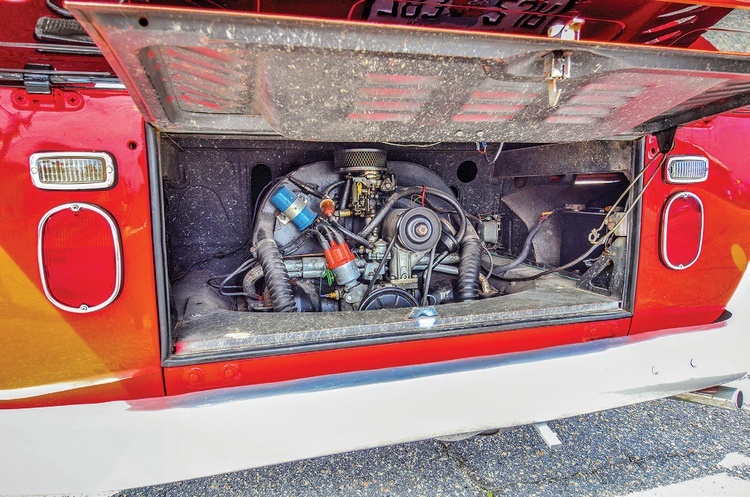 Whether running with a vintage group or the SCCA, the engine is going to cost about the same. Both Fred Clark and Lisa Noble suggest budgeting about $7500 for a top-flight engine. Output? About 60 horsepower. 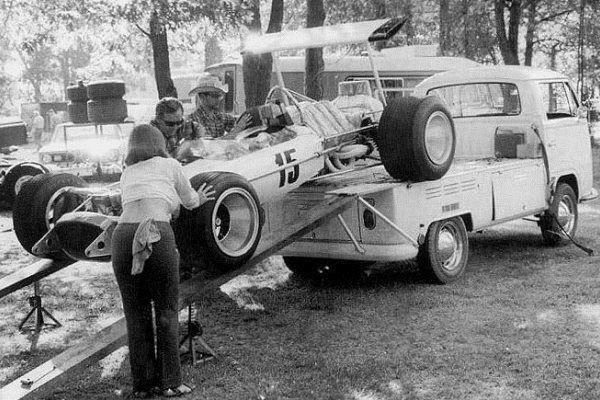 By the late ’70s things were rolling along well for Lynx as they had become one of the top chassis builders for Formula Vee. Then Ford’s Lincoln-Mercury division arrived with a deal that couldn’t be refused: They were introducing a new small car for 1981, and they wanted to call it the Lynx. Part of the deal included a new Lincoln every year for the owners of the chassis company. Former SCCA president and longtime Formula Vee racer Lisa Noble confirms that story. In fact, she bought one of those Lincolns from Jon C. Mills. The company needed a new name, so the owners again went with another big cat: The firm became Caracal Cars. Today Fred Clark owns the company. He builds new cars, repairs used ones, and makes fiberglass body parts for almost any Formula Vee. 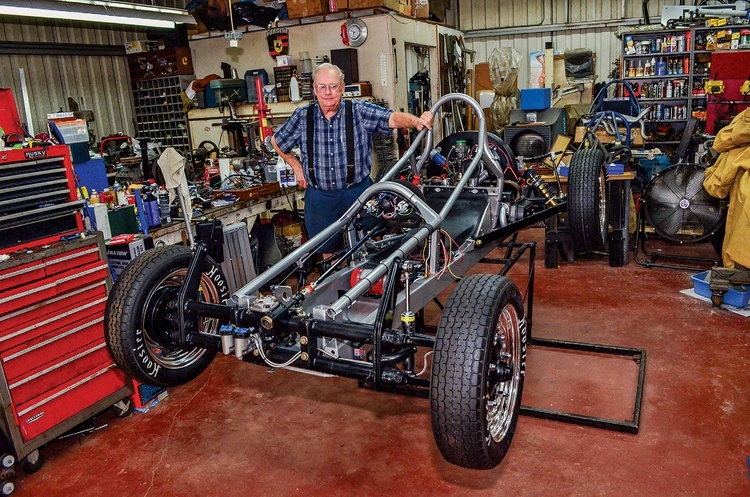 He also finds old Lynx B chassis–arguably the most popular and competitive Vee in vintage racing-and restores and preps them for customers all over the United States. Caracal’s tie to the past goes back further than the formation of Lynx, however. The company currently resides in the same building that once housed the original Nardi. You could say that Formula Vee was born where Caracal is located today. And I just found a new desktop for my computer at work. Thank you. 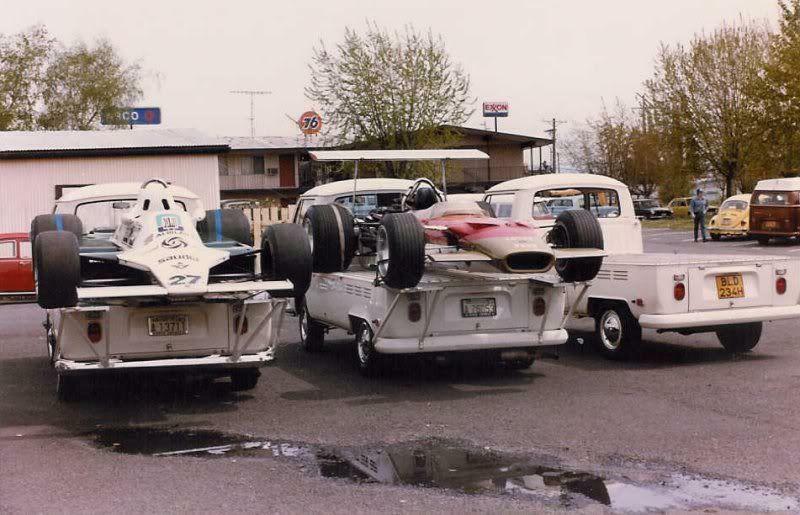 Pacific Northwest racing icon Pete Lovely used a VW transport to get his F1 car to the track in the late 60"s-70's as well.